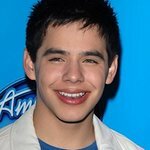 David Archuleta and Angels For A Cause (AFAC) will partner with the Lisa Lopes Foundation (LLF) to help raise $10,000 to launch the new medical center in Honduras. The Lisa Lopes Foundation medical center will serve thousands of families and children living in impoverished areas of Honduras, with health conditions among the worst in the Western Hemisphere. Honduras is the second poorest country in Central America. An estimated 1.5 million Hondurans were without access to health care in 2008. With the highest Aids rate in Central America, the quality and access to health care are directly tied to income levels. Health care for the urban and rural poor is extremely limited. The Lisa Lopes Foundation medical center – named after the late TLC singer Lisa Lopes – will provide free health services, establish an ongoing rotation of dental and medical brigades that will provide on-site services, ensure that the center is prepared with the basics in dental and medical supplies and provide a comfortable working environment for Medical and Dental Brigades or anyone servicing the area and staying at the center.